Persol 3034 - Dark Horn Need Help? 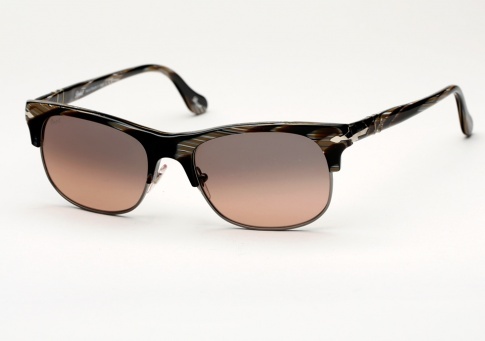 The Persol 3034 is a classic "clubmaster" design that works on both men and women. It features Persol’s Iconic Supreme Arrow, 5-barrel hinges for strength and durability, and adjustable nose-pads for a finely tuned fit. Handmade in Italy and offered here in a unique dark horn acetate paired with brown pink gradient lenses.